By Agus in Desktop. Updated on March 17, 2018 . We tend to rely heavily on our favorite desktop applications like Photoshop, GIMP, Audacity, Adobe Premier and so on when it comes to dealing with multimedia files. That’s fine on our desktops but what if we need to use an editor on a friend’s computer or a public one at the workplace? That is where web applications come in handy. Web applications provide ubiquity, convenience and ease of use . As long as you have a web browser that connects to the Internet, you can find multimedia editors online to get your photos, audio files or even videos edited on the fly. Here’s a list of free web services that allows you to edit multimedia files (photo, audio, and video) quick and easily online. 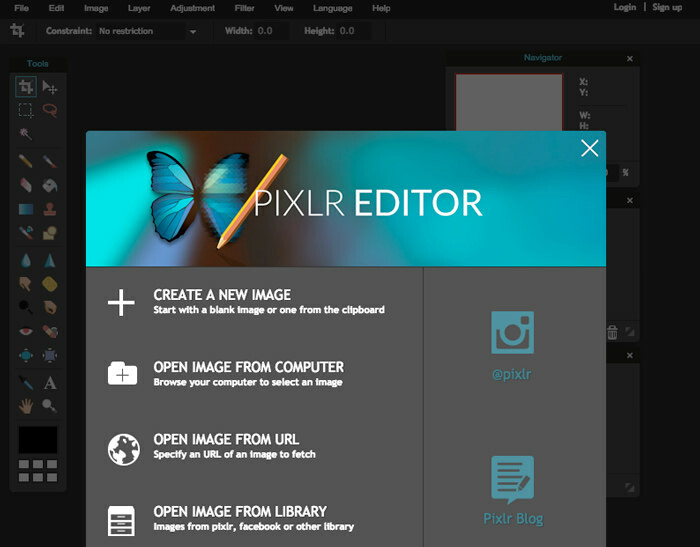 Pixlr Editor allows you to edit images with features much like those you can find in Photoshop. The lasso tool, smudge tool, blurring tool, clone stamp, and more are all there. If you’re looking for a Photoshop alternative, this is the best bet for you. Fotor is a tool to edit your photos and it comes with basic editing features (crop, rotate, adjust color, etc), on top of the ability to add effects such as lomo and vintage to beautify your photos. You also can create a collage with various templates. Also, you can quickly pick a layout in the right size (e.g. Facebook covers) for use on social media. 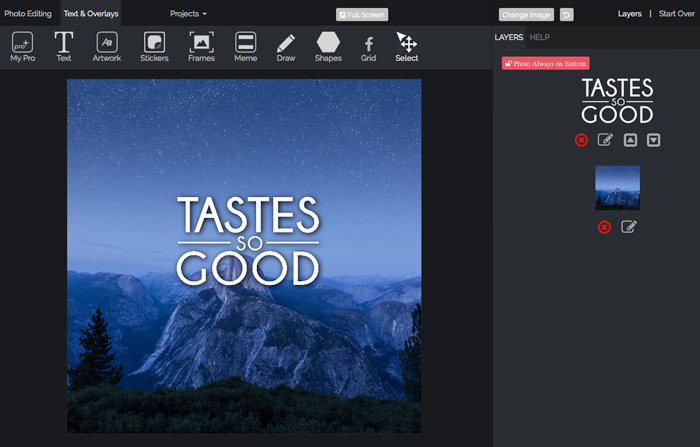 Picmonkey provides basic editing of your photos, touch ups, and the ability to create a design for social network use. There is also the feature to create collages. You can upload a photo from your computer, Facebook, Flickr or from cloud storage like Dropbox and OneDrive. Befunky is an image editing tools with the essentials plus the ability to add filter effects and artsy features like cartoonize, impressionist, pointilism, watercolor, and others. You can also add frames, graphic, overlay, text or textute to enhance your photos. 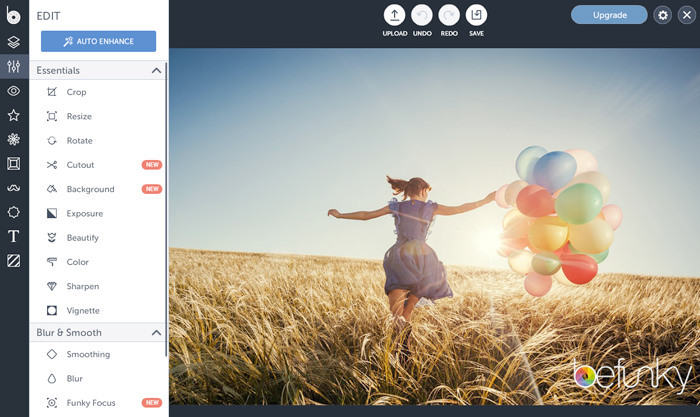 Polarr is the ideal photo editor for bloggers, students, and photo professionals alike. 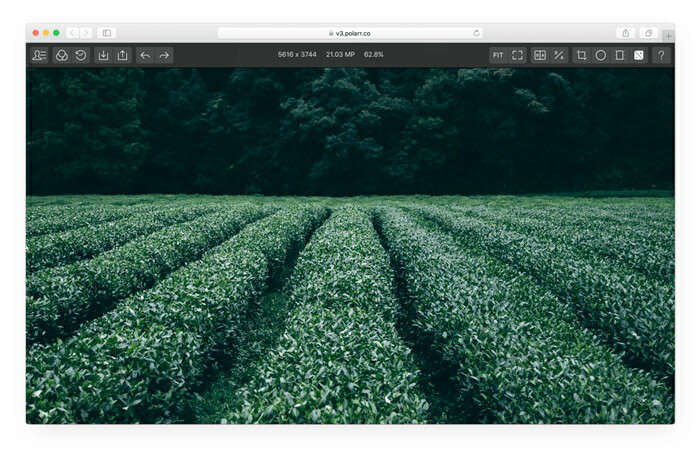 Polarr lets you batch export your photos, add a watermark, and work with keyboard shortcuts. There is also a Polarr Photo Editor available on the Chrome Store, which lets you edit your photos while on the Chrome browser as long as you enable WebGL 2D acceleration on your Chrome. 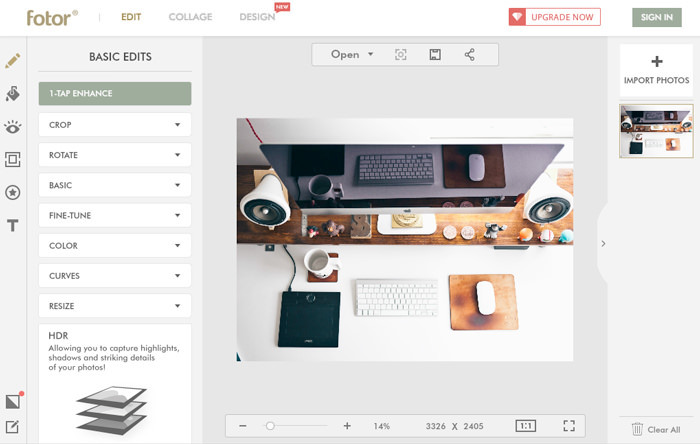 Editor is a simple tool to edit your photos online. 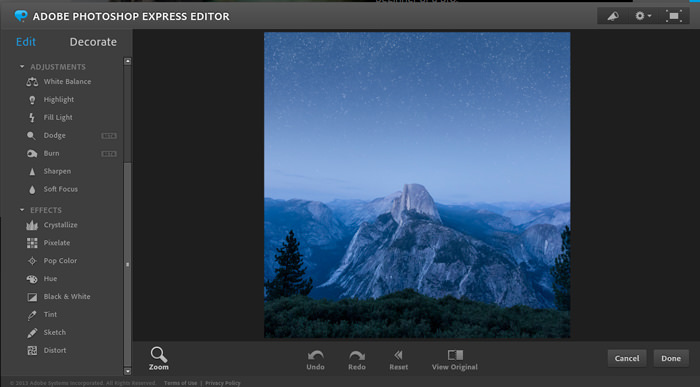 It has common tools for editing such as crop, rotate, adjust color, exposure, and sharpenss. Some filter effect, frames, stickers and texture are also included in this tool to enhance your photos. 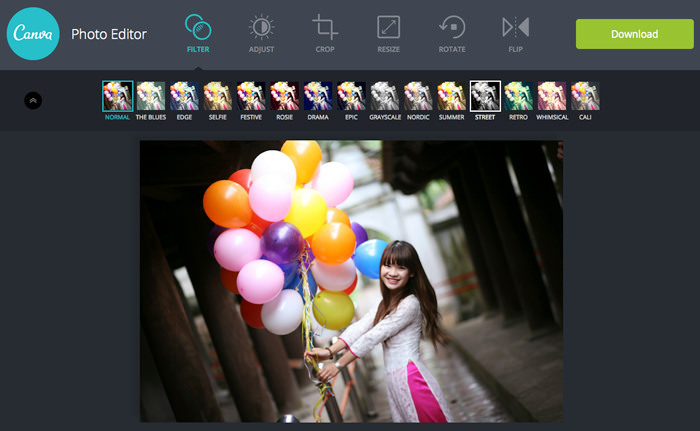 Fotostar provides basic tools for editing photos (crop, resize, rotate) and lets you add stylish photo filters and effects. There are over 50 unique photo effects and 30+ frames you can apply to the photos. When you are done editing you can download photos in any quality range you want. 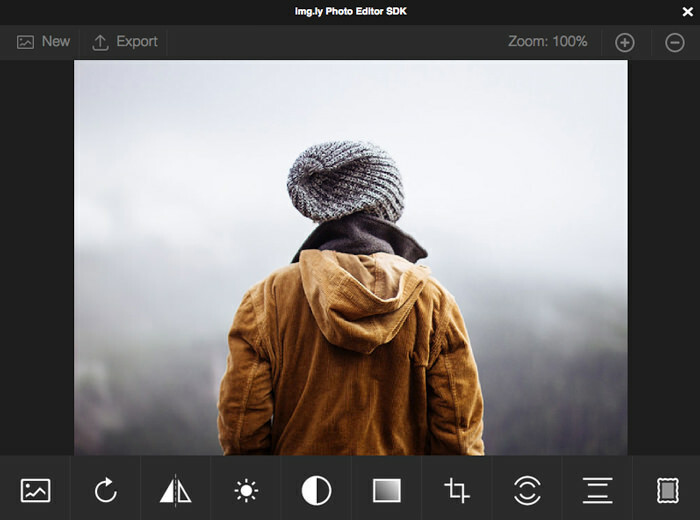 Photo Editor SDK is a free tool with simple intuitive interface. This tool features over 40 hand-crafted and non-destructive filter effects, image cropping, color setting such as contrast, saturation & brightness as well as two special effects: Radial Blur and Tilt-Shift. 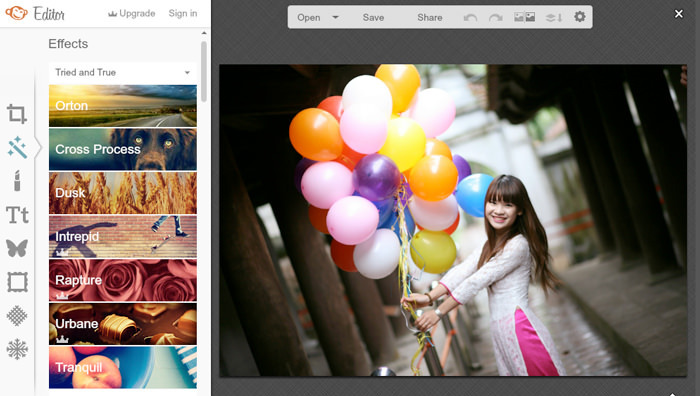 Photofy lets you import image to edit from Facebook, Dropbox, Google, Instagram or from your PC. Besides basic editing features, Photofy comes with bunch of artwork collections and typography with dozens of beautiful font faces. This editor also has keyboard shortcuts for quick access to these features. Canva Photo Editor is a great tool to add photo filters quickly. 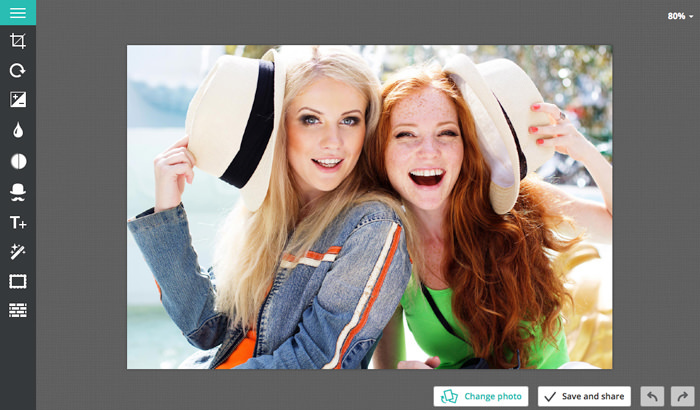 Upload or drop your photo to the editor then choose one of more than a dozen beautiful filter effects. Basic editing tool such as adjust color, flipping, and cropping are also included. Photoshop has an online, simpler and lighter version that you can use for quick fixes and enhancements. 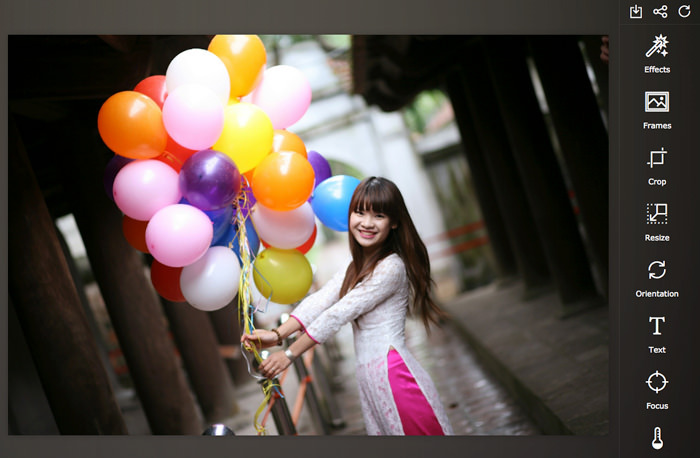 There are basic image adjustment tools such as for adjusting white balance, highlight, dodge, burn, soft focus and more. It also includes effects like crystallize, pixelate, pop color and other great effects like those found on the desktop version. 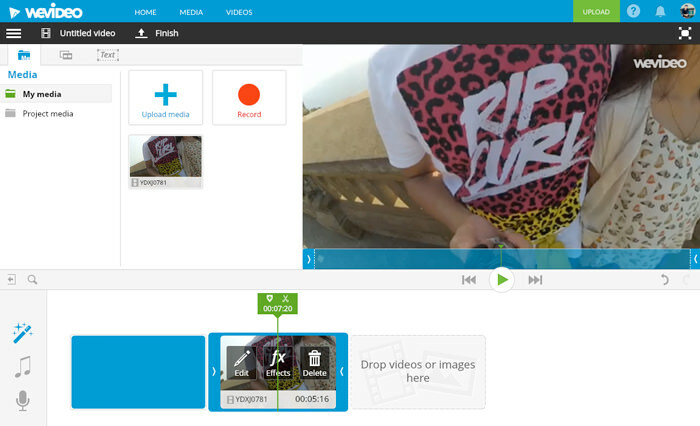 Wevideo lets you edit and make videos in an easy and intuitive way on this cloud-based app. You can control the video sections easily in areas like the transition, fast or slow motion, by adding effects, and more. 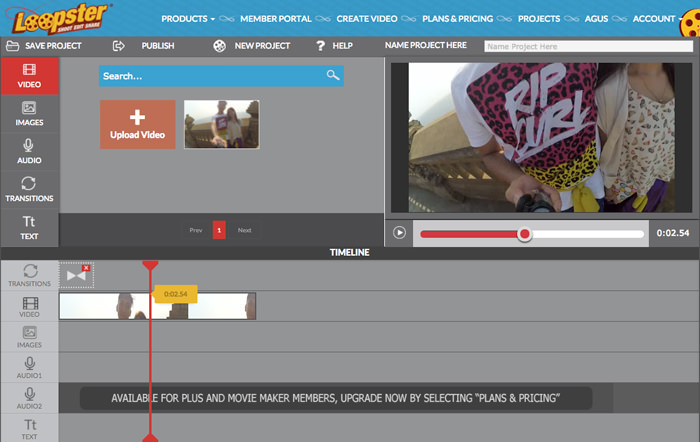 Magisto is a super cool editor that can help you make your video in just a few steps. 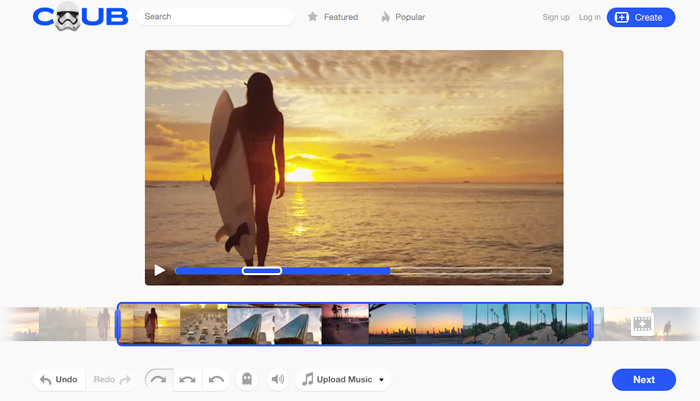 Upload your video, choose one of dozens of pre-made editing styles, add a soundtrack you love from the list, add the title and your video is ready to download or for sharing with friends through social media. Coub is a tool for making looping videos as well as remixing videos with ease. You can take up to 10 videos from YouTube or other sources, then remix them with the addition of some nice sounds to produce great video mashups. Although the look of the website is simple, there are useful features that you might like for your video editing needs. You can perform one of several actions for your video, including convert video, split/cut, extract video, add subtitles, add audio, crop video, add watermark, and merge one or more videos. Have the almost-perfect video but just want to quickly and easily edit a certain section out? Online Video Cutter allows you to remove an unwanted part of your video. This tool supports almost video format, so it is a handy tool to use. 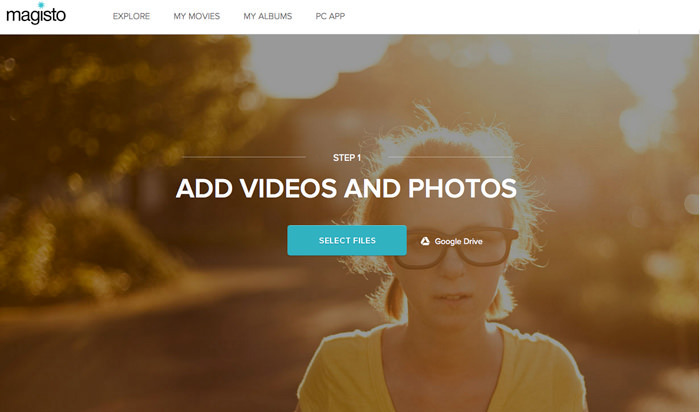 Animoto is an online app to create great video presentations with ease. You just need to run a few steps: firstly, choose the video template you love, then add logo, pictures or videos, music soundtracts that you like and text you might need. The last step is to produce your video to download. 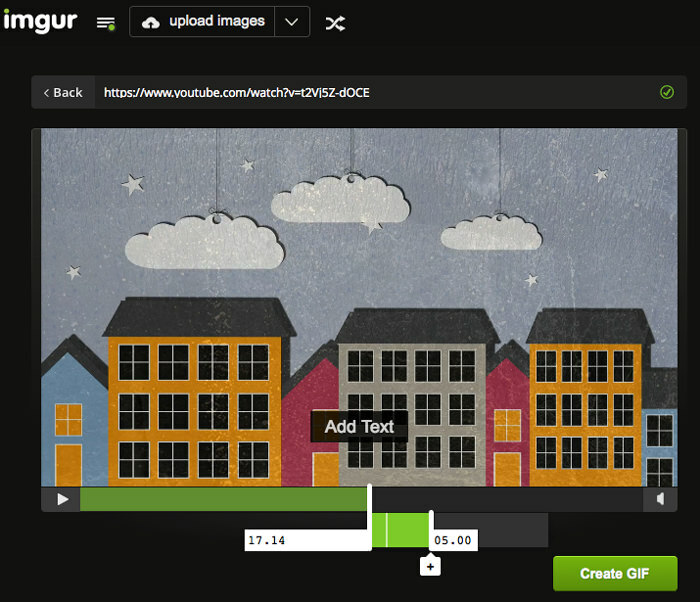 Here is simple tool to transform any online video into GIF format. It’s very easy to use. Just paste the video source URL and drag the slider to grab the video parts you like. You can set the GIF output for up to 15 seconds long. Loopster is an online video editor, with an interface that is intuitive and easy to use.it also includes more than 600 sound effects to insert into your videos freely. Wirewax is a great online tool to make interactive videos. You can tag anything on the video. You can also add text, images or buttons on the video to describe what you tag, or link it to another page. 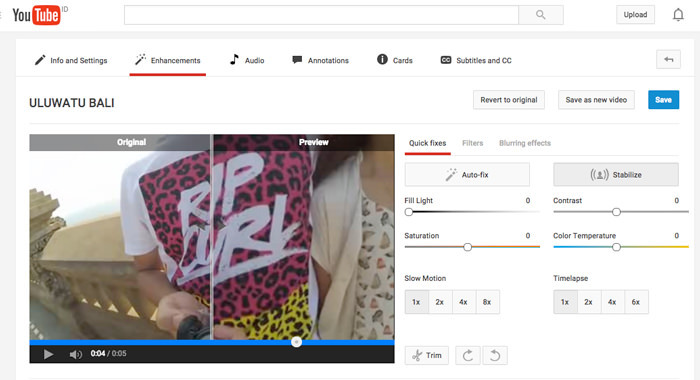 The YouTube video editor is a very useful tool to edit your video before publishing it. You can do quick fixes for your video including set fill light, contrast, saturation, blur, stabilizer, and set slowmotion or timelapse. You can also add filters, text, transition, and audio. 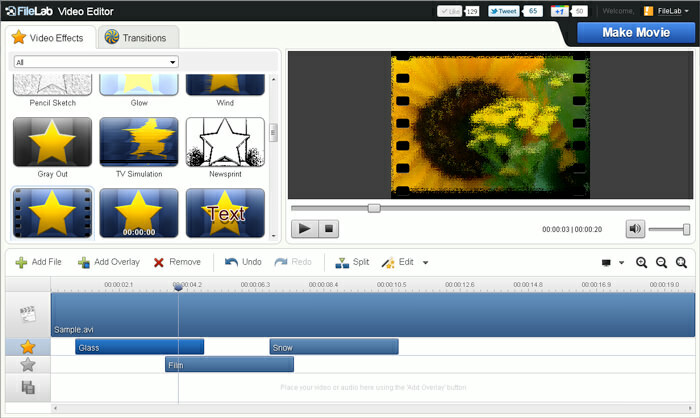 The editor can be accessed in two ways: by clicking Edit on each video you’ve uploaded and via this YouTube Editor link. 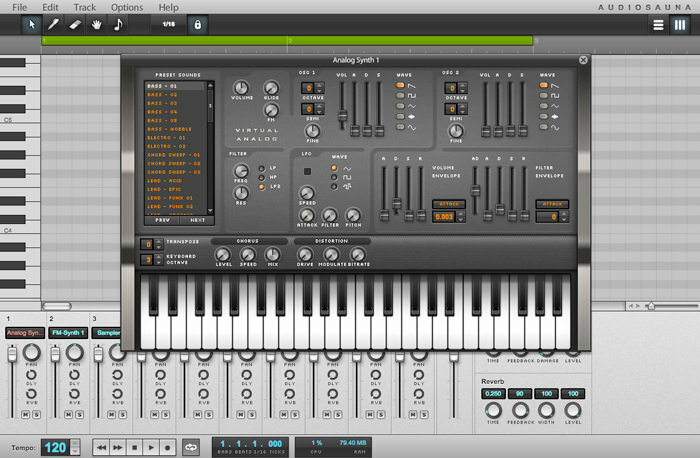 Soundation Studio is a tool for creating music online with powerful features. It comes with complete features to mix your sound, alongside a bunch of sound effects, loops, and virtual instruments. Just mix your song up and publish them. If you just want to take a piece of your sound or music, then here is the right tool to use. CutMP3 lets you cut your MP3 music files to keep just the track you love. It doesn’t require you to upload your music, because it works locally, just open your file with this app and it’s ready to start cutting. Audio Tool lets you produce your music right from your browser. This app includes virtual instruments, mixing and routing panels, and an effects panel. It also comes with more than 250,000 free samples, and you can access your track/sample everywhere. 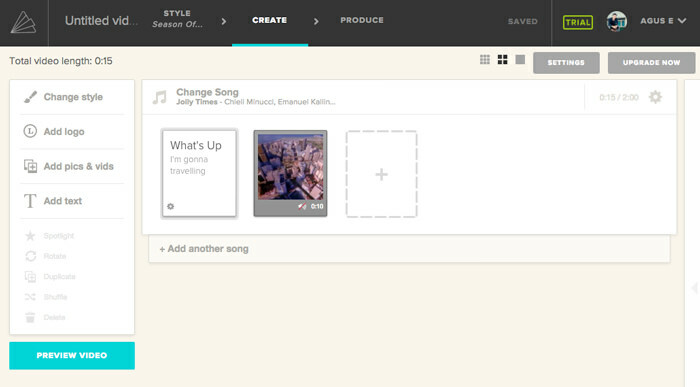 It even allows you to collaborate with your friend when making music. Finished material can be published directly to Facebook, SoundCloud, or other sites. 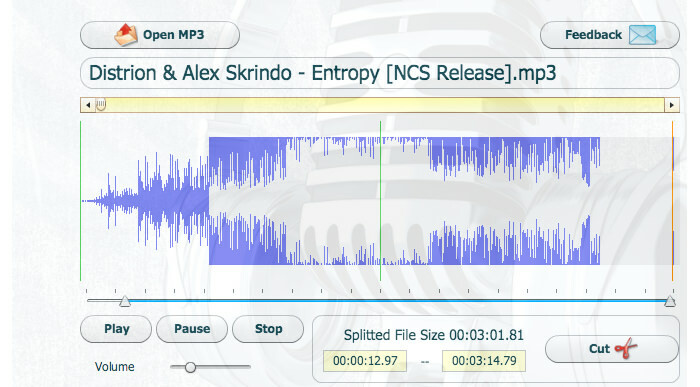 Twisted Wafe is a browser-based audio editor which is great for recording, mastering and converting sound. The features include recording sound, looping, adding VSTeffect, amplify, normalize, fade in/out sound, and more. This app also allows you to import and export sound from your Google Drive and SoundCloud, and save your music in multiple sound formats. 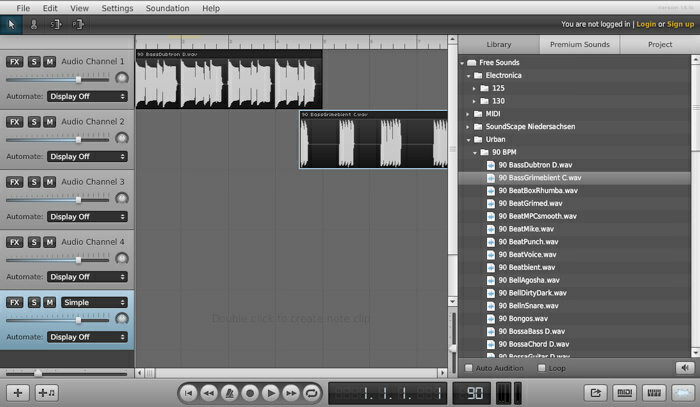 Beautiful Audio Editor is a tool to enhance your music. You can apply effects to tracks, ranging from gain, pan, dynamic compression to various of frequency filters. The app also lets you set up audio speed and flexibly fade the volume on your track. 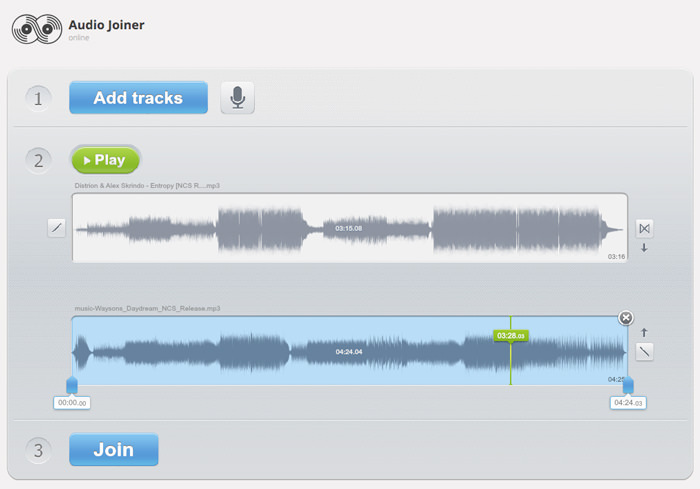 Audio Joiner is a simple tool to merge two or more songs or music files (mp3, m4a, wav, and others) into a single track. 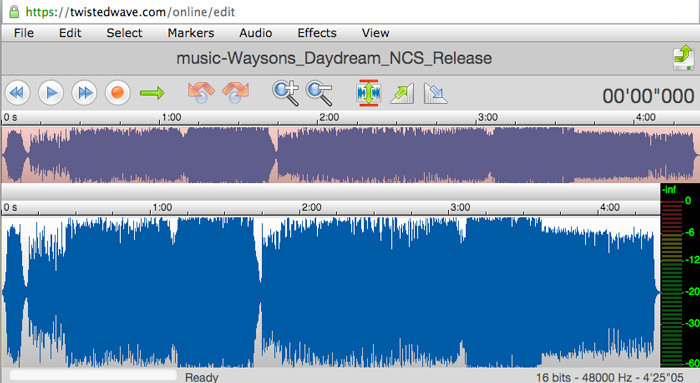 You can use Crossfade to make smooth transitions between two music tracks and use Fadeout on the last track. Want to join them at specific intervals? Just adjust the slider on each song to take just the parts you love. From joining to cutting, this simple tool will help you cut unwanted parts of your sound or music without any complications. 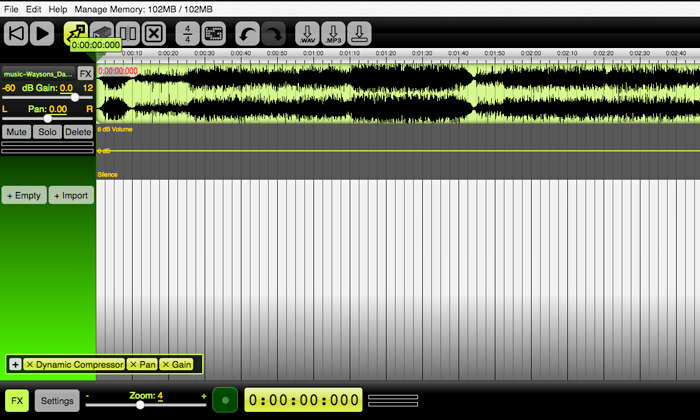 Just open the audio file, then drag the slider on the soundtrack to keep or remove parts from the audio file. You can save the result in MP3, iPhone ringtone, or AMR, WAV or AAC format.